NASA/GSFC/CI LabAn illustration of a total solar eclipse. The great American total solar eclipse of 2017 is almost upon us. 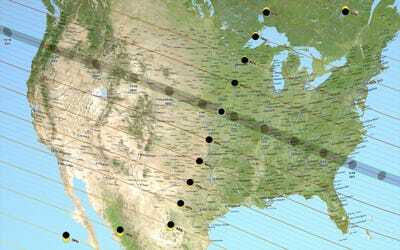 On Monday, August 21, the moon will slip in front of the sun and cast a dark shadow that will travel across the contiguous United States. A partial solar eclipse will be visible around the entire country, but totality — when the moon fully blocks the sun and eerie-looking effects occur — can only be seen within a 60- to 70-mile-wide sliver. The path of totality will touch 12 US states, but hotels in those regions began selling out a year ago. If you’re not planning to travel and brave the traffic, though, there will be plenty of ways to watch livestreaming video of the eclipse. Below, Business Insider has compiled a collection of what should be the best feeds. As new ones go live, we’ll embed or link to them. NASA is pulling out all of the stops with two live feeds of the solar eclipse, via NASA TV and NASA EDGE, across multiple popular streaming-video services. We recommend watching those. NASA’s first stream goes on air at 1.45am AEST which is about an hour before the darkest shadow of the moon, called the umbra, first touches Oregon. 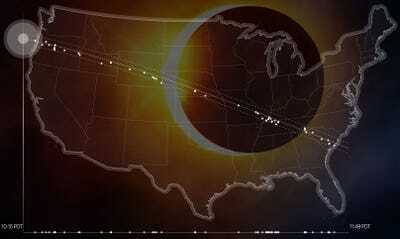 When a feed will broadcast totality depends on where its cameras are located. The longest totality will last at any one location is less than three minutes, but some feeds will have dozens of cameras sprinkled across the country. Note: You may need to disable Flash and ad blockers for the feeds to work. We’ve also included links directly to the streaming sites in case you’re having trouble watching. On solar eclipse day, the space agency’s main feed is going to be epic. NASA TV has mapped out live video coverage for its “Eclipse Across America” segment from 12 different locations on the ground, jets in the sky, telescopes, and dozens of high-altitude balloons. (Yes, we said “epic” for a reason.) These feeds should run from 2am – 6am AEST. When NASA TV’s feed from its Facebook page goes live, we’ll embed it here. In addition to desktop video feeds, NASA will also host live video on Periscope.tv, Twitch, and its family of mobile apps. NASA EDGE is the space agency’s edgier video production, and is typically unscripted. 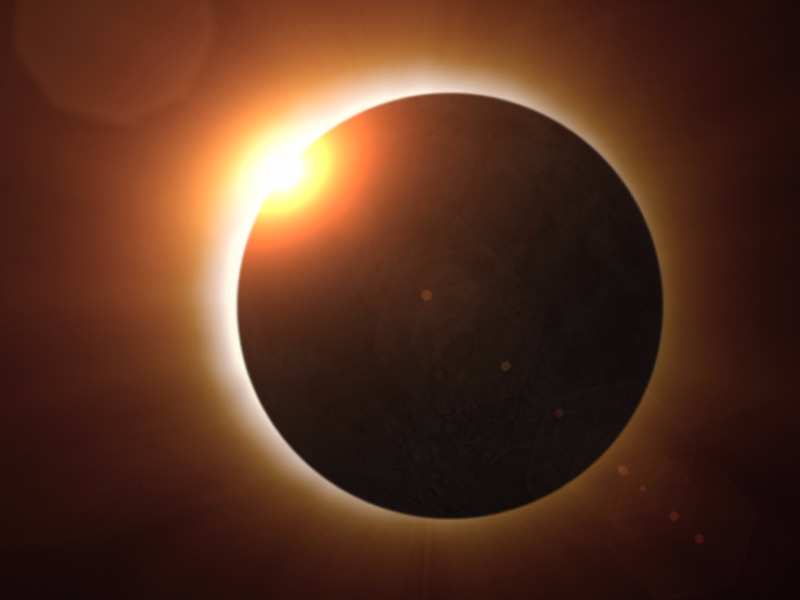 Their feed will be a “megacast” of the solar eclipse from Saluki Stadium in Carbondale, Illinois, and is slated to run from 1.45pm – 6pm AEST. In addition to NASA EDGE’s main live feed, you can watch direct feeds of the eclipse from the H-Alpha Telescope, the Ca-K Telescope, and the White Light Telescope. They will also have a channel to show off freshly processed photos of the event. When NASA EDGE’s feed from its Facebook page goes live, we’ll embed it here. This company has partnerships with observatories all over the world, allowing them to stream almost any astronomical event. We like Slooh because they fill their broadcasts with commentary from a rotating cast of experts who speak in conversational language. On eclipse day they will base their broadcast out of Stanley, Idaho. The feed should go live at 2am AEST, and when it does we’ll embed it here. Stream is a newer, interactive video feed service that we don’t plan to embed here, but you can access it for free at at eclipse.stream.live on the day of the total solar eclipse. Stream has partnered with NASA to string together an interactive feed that will feature footage from 52 high-altitude balloons launched from schools, universities, astronomy clubs, and others within the path of totality. The balloons will fly 100,000 feet up into the air. “The viewer will be able to pick which balloon they want to watch via the interactive map on the site,” Will Jamieson, Stream’s CEO, told Business Insider in an email. Stream’s balloon cameras “will be aiming horizontal” to capture “both the earth as well as space,” Jamieson said. This means there’s a very good chance the feeds will show the oval-shaped umbra speeding across the ground as it races east.